A heavily drunk man who struck his 15-year-old son on the neck with a machete, killing him instantly, has been jailed for 15 years after he was convicted of manslaughter. But it could have been his mother who would have copped the treatment. 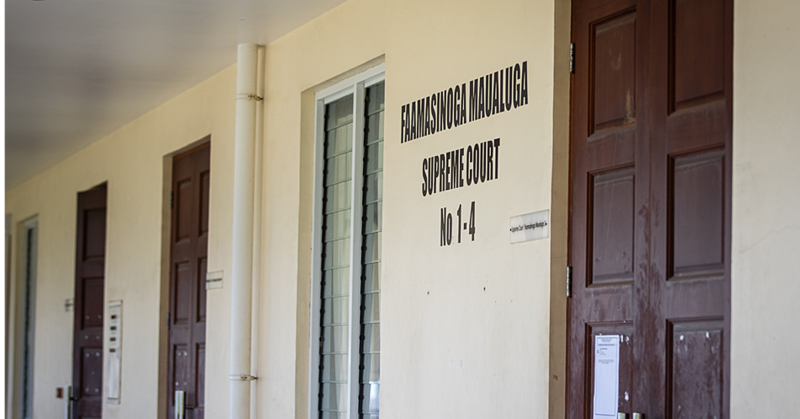 The Court heard that Afereti Talato Mapusua became angry with his son, Taumafai Afereti, because he suspected he was hiding his mother. “This is an extremely tragic tale of alcoholic madness resulting in the loss of a young boy’s life taken by his drunken, out of control father,” said Justice Vui Clarence Nelson during sentencing. Mapusua was charged with manslaughter and being armed with a dangerous weapon in relation to an incident in February this year. “Taumafai was only 15 years old. The defendant’s action has been depriving of this young man’s future; his life has been cut short at a young age for no good or justifiable reason,” Justice Vui said. “It is also relevant to consider the violence of the attack that caused this boy’s death. “Taumafai’s last memory of this world would be of being attacked and injured by his father. “I shudder to think of what would have gone through his mind as he lay dying in his neighbour’s drive way alone, unaided and slaughtered like an animal. Alcohol was the main factor of the homicide. “This is a sad case from many different aspects and the Court extends its sympathy to the mother and Taumafai, whose death was quite needless and unnecessary,” said Justice Vui. According to the Police summary of facts, on the day in question, the defendant began drinking early in the afternoon after a family galuega which also involved his two sons, Taumafai (deceased) and Atina’e. He began by consuming six large bottles of Vailima then instructed his wife to get more bottles on credit from a nearby store. 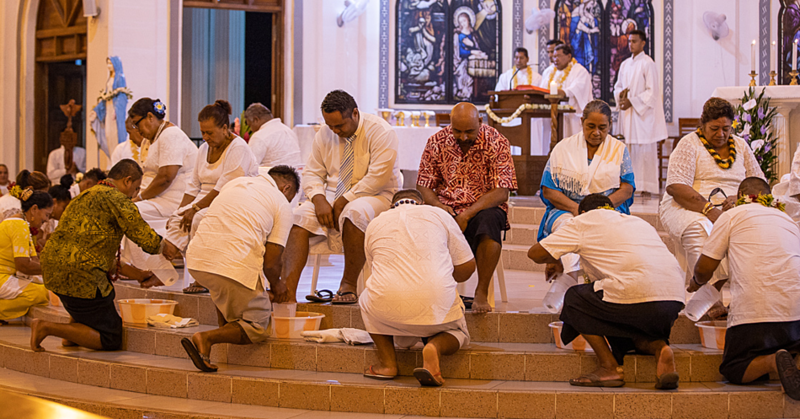 About 7pm, he then left for his neighbour, Tele’a’s house where his brother Onosai was drinking. At Telea’s house, Mapusua began behaving aggressively; he was rubbing the tip of his machete on the concrete. He then delivered a superficial cut to one of his brother’s hands before he moved away. Mapusua tried to strike his brother again but his machete caught the wire of an overhanging light bulb. The electricity was cut immediately. The drinking party then dispersed and the defendant was left holding his bleeding hand with his sons. 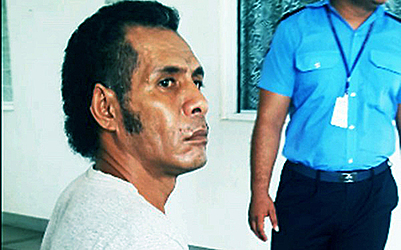 According to Atinae the defendant accused Taumafai of hiding his mother. 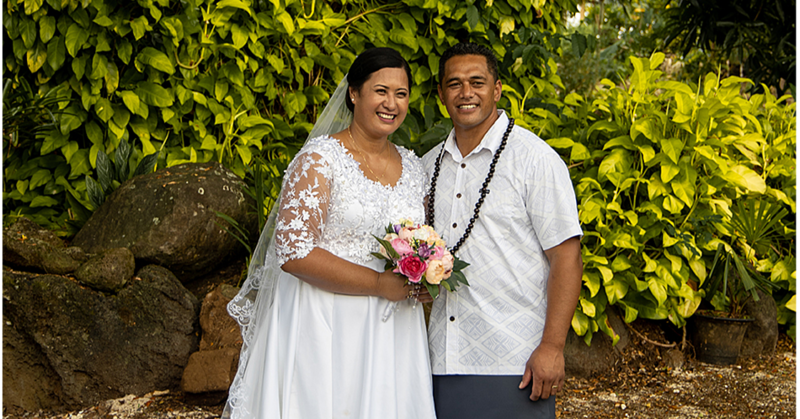 The defendant told the Court he was angry because he couldn’t find his wife and he knew that Taumafai did not want to tell him where she was. He said he asked Taumfai three times where his mother was and he said he did not know and that made him even angrier because he knew his son was lying to him. He put up his right hand which held the machete and Taumafai jumped off and that’s when he struck him. He said he did not intend to kill his son but because he was angry, he struck him. The boy, while trying to get help, ran to their neighbour’s house Viliamu Maposua and after telling his neighbour that his father had hit him, he died. The strike was deep enough that according to the pathologist that conducted a post-mortem examination, it went as far as into the neck’s bone. In reading out the aggravating features, Justice Vui took into account the use of a lethal weapon. “The aggravating factors in this case include the use of a lethal weapon and even though the tip was cut, it is still a lethal weapon,” he said. “He well knew the boy was unarmed because he had gained possession of his son’s knife. “He was angry at the deceased and what he told the police illustrates the depth of his anger. “It also appears that this is not the first time the defendant has lashed out at his son. “His court record shows that his previous conviction in 2015 was for causing injury to his wife and to his son, the same son he used the machete on. “Similar circumstances existed there. The defendant had been drinking, became angry at his wife and hit her with the flat part of his machete. “He then left the house and upon returning he noticed his wife was not there, he then questioned Taumafai and he being protective of his mother, told the defendant that he did not know where she was. “Afereti then assaulted Taumafai with the flat part of the machete. “This time Afereti went one better and he did not use the flat part of the machete, he used the tip of his machete to strike his son with fatal consequences. Prosecution was Lucy Sio while Defense lawyer was Unasa Iuni Sapolu.